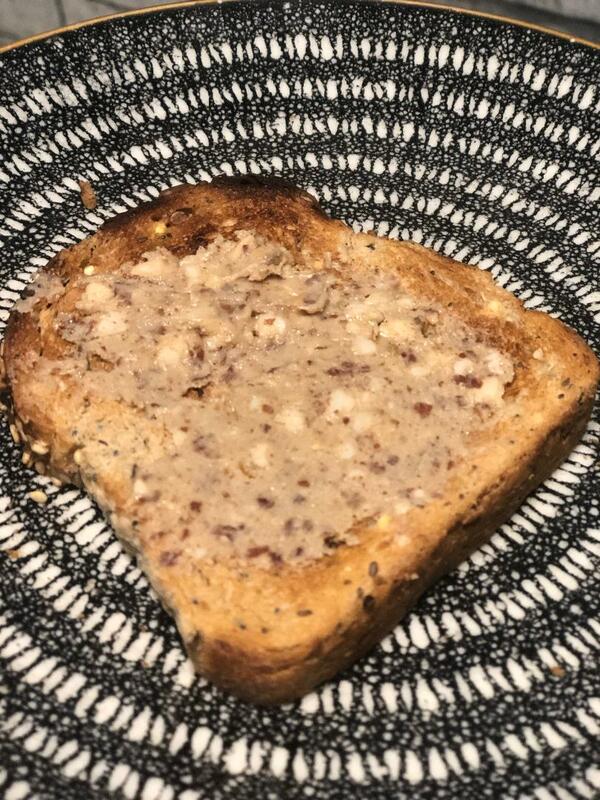 Good old peanut butter on toast! Peanut butter has become cool over the years & is often touted as being ‘good for you’ as it’s ‘healthy’ source of fat. However true this may be, if you are not mindful of how much of your beloved PB you are spreading over your toast you will rack up the calories very quickly!! The above pic shows 10g of beloved PB (64kcal). The main macronutrient in PB is fat. Fat contains 9kcal per gram. As I’ve said before (once or twice ): calories DO count ! It doesn’t how ‘healthy’ those calories happen to be, a prolonged excessive intake will STILL cause weight gain. I’m NOT saying fat is bad (at all). I am simply stating that you need to be mindful of the caloric value of any food you include in your diet, especially if you are a bit weak around the peanut butter jar… like me! Tristan ‘put the jar back the cupboard immediately’ Buttle.